Are you an avid toner user?For a long time I honestly wasn’t. I really didn’t understand the point. Now I can’t imagine my day to day without them! For the past 3-4 years I’ve been loving & hugging on toners (it is a serious relationship) & am constantly changing things up to go between luxury & the affordable. I was recently able to pick out some Ziaja products & of course I chose some toners! Keep reading to find out more! In case you aren’t familiar with the Ziaja site, they have some amazing European products & they’re under $10. I’d say that is nearly drugstore prices! One of my favorite things about their website is they list all of their ingredients for you. I don’t know why more brands don’t do this for convenience sake! I chose the Marigold & Cucumber facial toners, both of which retail for $8.99 regularly. The Ziaja Marigold Facial Toner is actually my favorite & it is meant for sensitive skin! The scent is really a beautiful floral, I find it really luxe smelling before bed with marigold extract. You just swipe with a cotton pad & you’re good to go! I love this one so much it was in my October Monthly favorites here! 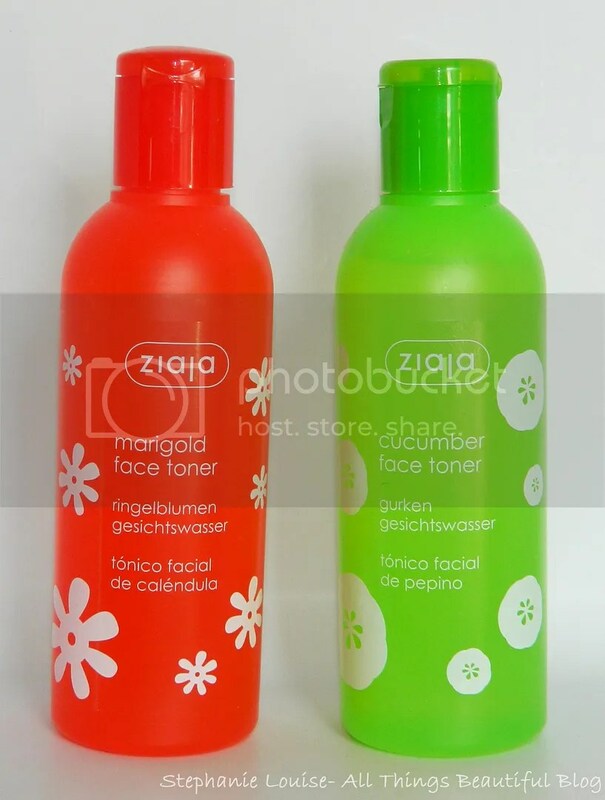 The Ziaja Cucumber Face Toner is aimed at more normal/oily skin I believe & I use it in my t-zone when I’m breaking out a bit to help clear up my skin. Clean skin is happy skin! It isn’t drying at all & contains cucumber pulp extract! Obviously, it smells really fresh & clean! I really like this for down my neck as well! Overall I’m really happy with both products & have really enjoyed using them! Each bottle contains 7 fl oz so it will last me quite awhile! Love! Plus, very reasonably priced. Ziaja carries more than skincare as well including hair & hand products! I’ll have more products reviewed soon so stay tuned & you can check out http://www.zjashop.com/ for more information & to purchase!